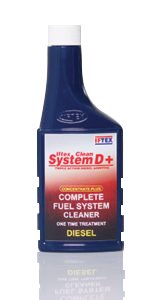 IFTEX CLEAN SYSTEM 23 | IFTEX OIL & CHEMICALS LTD.
IFTEX Clean System 23 is a latest generation fuel additive with outstanding clean-up and keep-clean properties. Most convenient to use by additing to the fuel tank in the recommended proportion. Designed to keep the fuel system free of performance inhibiting deposits. Recommended for all modern 2 and 3 wheelers operating under high driving stress & using petrol as fuel. Recommended both for city traffic as well as for highway conditions. Recommended for both 2 and 4 stroke petrol engines. Helps to stop knocking and pinging. Eliminates rough idling, hesitation, stalling, hard starting, lean surging and poor throttle response caused by deposits in the fuel system. 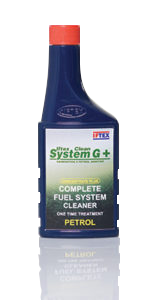 Increases fuel efficiency by keeping the fuel system, including the combustion chamber clean. Performs equally well with leaded and unleaded petrol. Keeps the fuel tank, fuel filter and the supply lines free of deposits. Reduces harmful hydrocarbon, carbon monoxide and nitrogen oxide emissions. 2 ml per litre of Petrol.